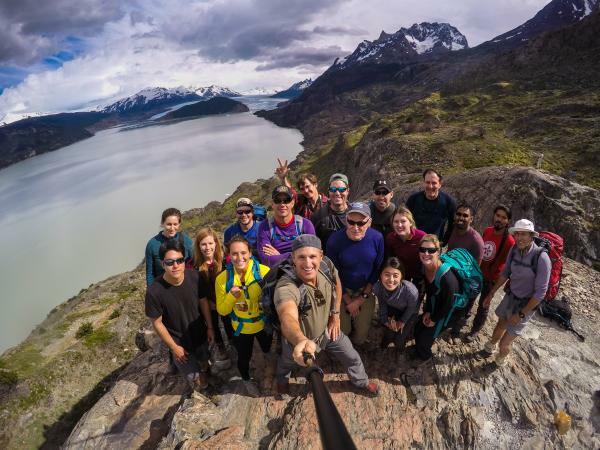 Hike the famous W Trek in the wilds of Patagonia's Torres del Paine National Park on this 8-day hiking and camping adventure. 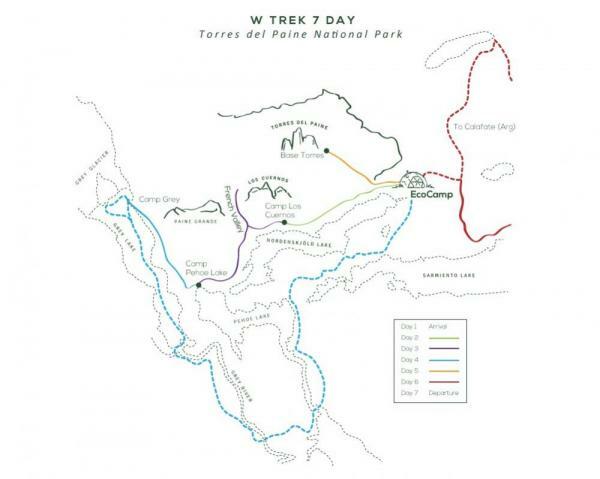 Your path follows the Paso Los Cuernos trail towards Refugio Los Cuernos and down into the French Valley. 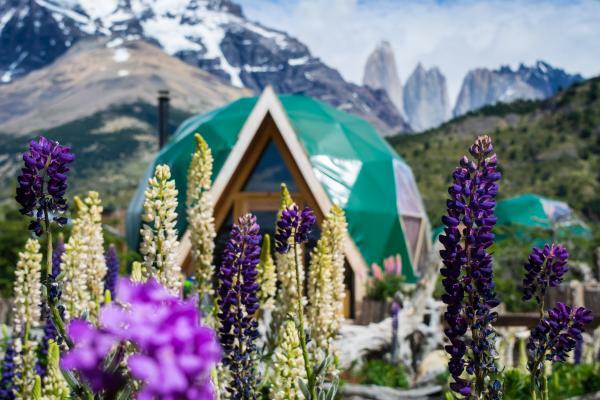 Experience panoramic views of Grey Glacier, witness the gigantic spires of El Paine, and enjoy a stay at EcoCamp. 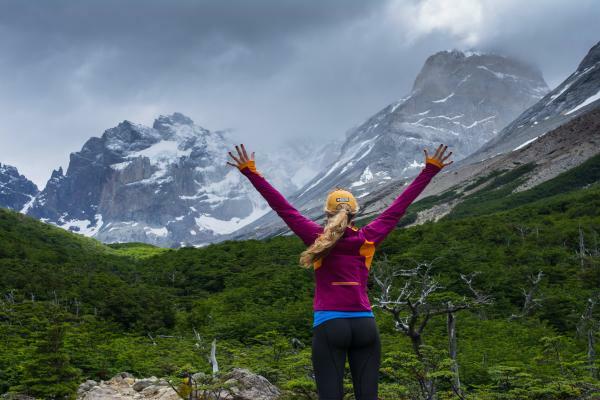 Explore Torres del Paine National Park the best way possible on this 8-day trek! 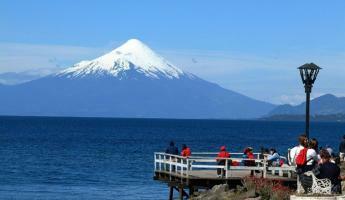 Arrive to Punta Arenas, Chile on the flight of your choice today. 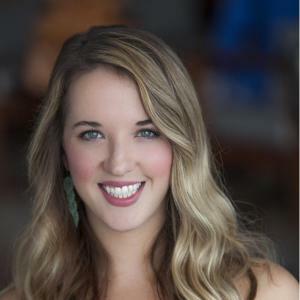 Transfer independently to your comfortable hotel and overnight. If you love penguins, plan on arriving a day early and a trip to Magdalena Island's Penguin Colony can be arranged for you. Enjoy the morning in the colorful port town of Punta Arenas at the end of the world before setting off for your drive to Torres del Paine National Park. Arrive at the EcoCamp, a deluxe tent camp of large igloo-shaped tents built to minimize environmental impact while providing a comfortable setting. You'll find no noisy diesel generators or destructive septic systems. Instead, EcoCamp provides candlelight, feather comforters, composting toilets, and plenty of quiet to enjoy your spectacular surroundings. Look out for Andean condors as you begin a relaxed hike along the shores of Lake Nordenskjold this morning. Your path follows the Paso Los Cuernos trail under the Paine Massif west towards the Refugio Los Cuernos. 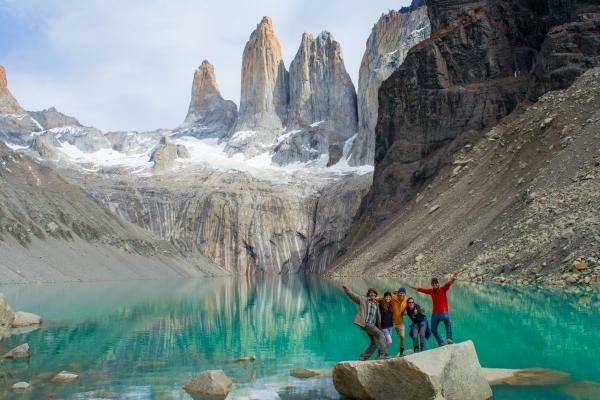 Your day is spent hiking between the turquoise lake to the south and the imposing mountains and vertical rock walls to the north and below the Cuernos (horns) of black slate that sit atop the gray granite of the massif. As you near the refugio, pass the entrance to Bader Valley (a paradise for climbers and one of the more hidden corners in the park), and finally cross a wooden footbridge over a little stream near the Refugio Los Cuernos, where you will settle in for the evening. The Refugio sits at the base of Cuernos del Paine (2,600m/8528ft) in a zone protected by the wind and close to a stream. The refugio provides clean dormitory style accommodations where you can swap stories with travelers from around the world. After breakfast, begin a challenging trek to Valle Frances (French Valley) along a steep trail that goes into the very heart of the Paine Massif. How far into the Valley you go depends on your group's hiking pace. A brisk pace leads to the hanging bridge over the French River, located at the foot of the south-eastern face of the Massif, where there are some truly wonderful views. Continue up the trail until reaching the upper section of the valley and admire the valley's entire group of geological formations: Hoja (Blade), Mascara (Mask), Espada (Sword), Catedral (Cathedral), Aleta de Tiburon (Shark's Fin) and the magnificent Fortaleza (Fortress). Here picnic and rest for a while. 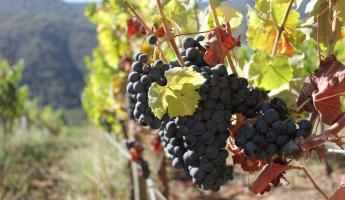 An optional trek to Mirador Britanico is available as well, if the group isn't keen on resting. 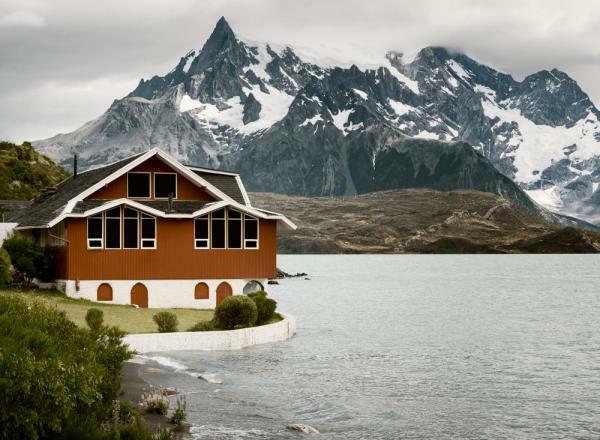 Then descend through a rippling terrain of mixed grassland and light forest until reaching Refugio Paine Grande, located on the peaceful shores of Lake Pehoe. Here organize your luggage, relax and enjoy a replenishing dinner. Begin today's hike through a dense forest to Mirador Grey along the shores of Lake Pehoe. Here you're rewarded with views of the towering walls of Grey Glacier and floating icebergs below. This huge glacier represents the end of the Southern ice field. Your pathway leads you through a rainforest very different from the equatorial Amazon and more akin to North America's Pacific Northwest ecosystem. Along the way spot some of the 115 species of birds and learn a bit about this unique southern forest. After a picnic lunch, embark on the ferry and set off across the Lago Grey, passing amongst icebergs of fantastic colors and shapes. From the decks of the boat, you can appreciate the vastness of the glacier. Occasionally there are times when such large chunks of ice have fallen from the glacier that it is impossible to navigate the ferry too close. Disembark on the banks of Lago Grey and transfer back to the EcoCamp where dinner and drinks are waiting for you. 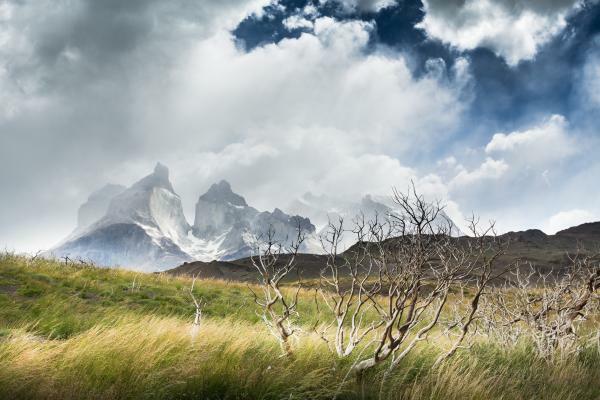 On either day depending on the best weather conditions you hike to the foot of the gigantic spires of El Paine. If the weather cooperates, witness the most famous sight of the Torres del Paine - the three granite monoliths reaching 9,400 feet - a testament to the massive glacial forces that carved them out of the earth. The other day is saved to walk to the Mirador Laguna Azul and then to the eastern side of Sarmiento Lake, a good spot to observe guanaco. Back at EcoCamp, enjoy a farewell dinner to celebrate the experiences of the past week and say your goodbyes to your wonderful hosts. Early this morning, transfer to Punta Arenas for the late afternoon flight to Santiago (must be a flight departing after 3:00 pm from Punta Arenas). With a few more days, you can add extensions to the Atacama Desert, Isla Chiloe, a cruise around Tierra del Fuego to Argentina, or rafting in the Lakes District. 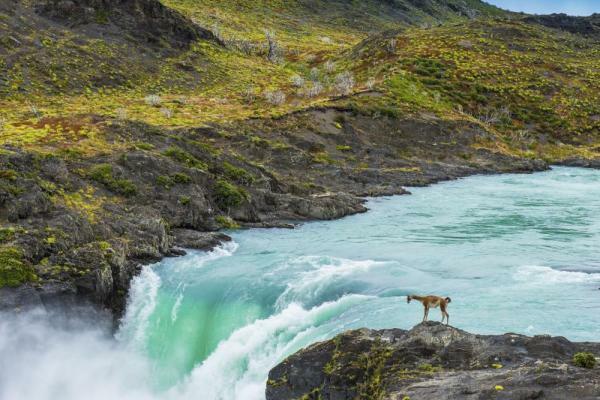 Transfers can also be arranged from Torres del Paine National Park into Argentina's El Calafate to continue your Patagonia travel adventures. 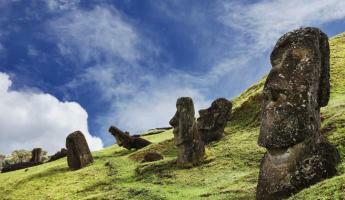 Tour price varies depending on season and current exchange rate, approximately $1900-$3200. Please contact us for a quote. 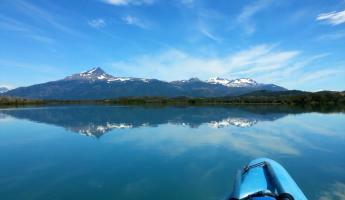 Discounted airfare possible if starting/ending in El Calafate, Argentina.